Torrox is a municipality that belongs to the province of Málaga, in the autonomous community of Andalusia. It is situated on the shores of the Mediterranean Sea, on the Costa del Sol Oriental, at the foot of the Sierra de Almijara. It has a surface of 51 km2 and a population of 16,395 inhabitants. Torrox has two distinct nuclei: the old nucleus that is located in the interior of the municipality, and Torrox Costa, which includes the whole coast and the beaches, where most rental accommodations are located. In the town center of Torrox is Iglesia de Nuestra Señora de la Encarnación. It is a structure of Baroque style, of the XV and XVII centuries. If you like these type of buildings, you can visit Convento de Nuestra Señora de las Nieves, of Mudejar style, built in the XVI century. After settling in their rental apartment, another of the monuments that tourists usually visit while on holiday in Torrox is Palacio o Casa de la Joya, built in 1863. The Roman ruins are located near Faro de Torrox, in the coastal part. It is a deposit of the 1st century that belonged to the Roman population that received the name of Clavicum or Cavicum, which now holds the remains of a town, thermal baths, a necropolis, pools of garum and ceramic ovens. Regarding natural heritage, Torrox holds beaches of great size and beauty. Among them are Playa Calaceite, Playa El Cenicero, Playa El Morche, Playa El Peñoncillo, Playa Ferrara, Playa Mazagarrobo. The gastronomy of Torrox is varied, highlighting sea products and vegetables. One of the star dishes of the municipality are migas, an example of the culinary tradition of Torrox. So much so that they dedicate a day of festivities to this dish, called día de las migas. That day, all the inhabitants and tourists of the area go out to the streets to taste the migas along with other typical dishes of Torrox like ensalada arriera, potaje de hinojos and jureles fritos. As for drinks, sangrias and beer are very common to cope with the high temperatures during the summer. During summer holidays, the population greatly increases due to the massive arrival of local and international tourists to the area. Torrox has a subtropical microclimate, ideal for the production of tropical fruits such as mango, cherimoya or avocado. Temperatures in Torrox are mild, both in summer and winter. The average annual temperature is 18.2 ° C, without great inequalities. 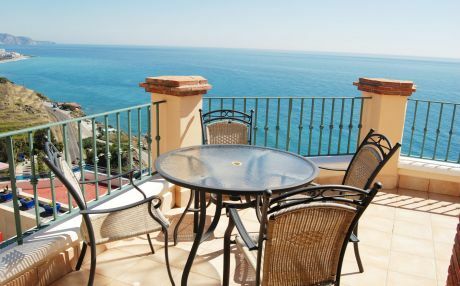 Torrox's economy is based on tourism, agriculture and construction - a sector that has grown in recent years. The most comfortable activity near your cozy rental accommodation is bathing in the beaches of Torrox. Here children will enjoy themselves playing with shovels, pétanque, kites, making castles in the sand, diving, looking for shells, etc. In addition, you can rent boats or motorboats and take a trip inland to explore its marine ecosystems. Just a 10-minute drive from Torrox is Barco de Chanquete, a very popular character that appeared on the teen series "Verano Azul". Children will want to relive that series and the adventures of this character and his boat. Meanwhile, in Cuevas de Nerja, 15 minutes from your rental apartment, are found the first cave paintings and are offered didactic tours and games for children. During the summer holidays, children feel like staying all day in the water, so it is a great idea to go to Aquavelis, the water park of Torre del Mar to enjoy its family friendly attractions. If Torrox is your chosen site to spend your holidays, it is time to know how to get to your rental accommodation. Tourists leave from all points of Spain, so we are going to pick up three key points. The first of these is Badajoz, with three possible routes. The first one is to drive through the A-66 and connect it with the A-92, which includes some tolls. The other options are to circle the N-432 and then take the A-45 or go straight through the N-432. If you depart from Madrid, the fastest route is to take the A-4 first and then connect it with the A-44. However, you can also go straight to Torrox through the A-4, although the road is longer. From Barcelona, you can take the AP-7 to Torrox or connect it with the A-7. The latter option is faster. A third alternative is to drive through the A-2. 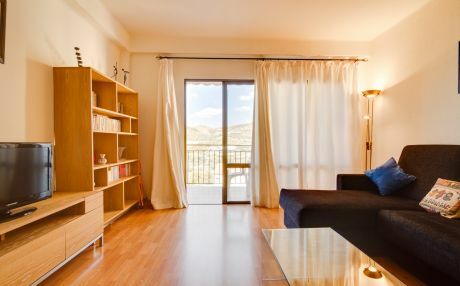 One of the crucial points to have an unforgettable vacation is booking your rental apartment. Choosing the one that fits your needs and expectations is the key. On TripKay, this option is possible. We work with the best providers of the market to offer quality rental accommodations, all well kept up and totally clean. We have rental apartments with swimming pool and in strategic locations in the area for the convenience of our customers. Our wide experience makes us improve day by day and our customers notice it. Therefore, we are a model company within the rental accommodation field. Do not think twice and rent with TripKay!